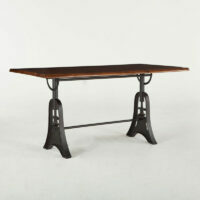 The Birmingham Gathering Table combines live edge with metal and it is perfect! 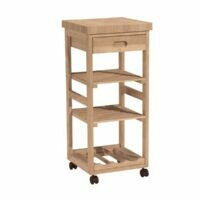 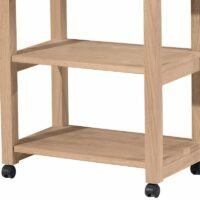 This mobile kitchen trolly is great for serving wine and cheese. 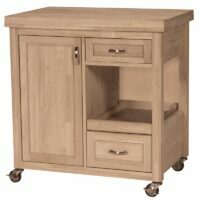 It has one drawer and a three bottle wine rack. 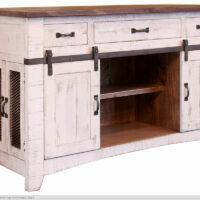 Cottage island with two doors and four drawers on bun feet with beadboard on sides, back, and doors. 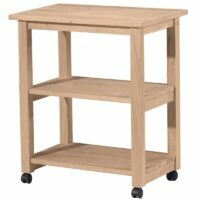 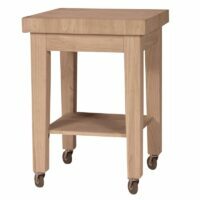 Measures 48″ wide x 24″ deep x 36″ high. 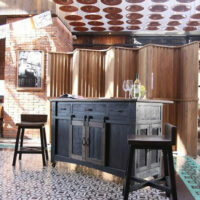 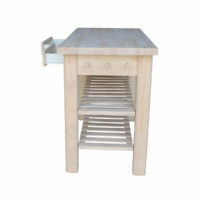 We have a sample island available for pick up in Austin! 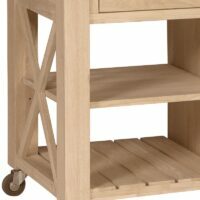 The Kitchen Microwave Cart gives you additional work space for those tight kitchen spaces. 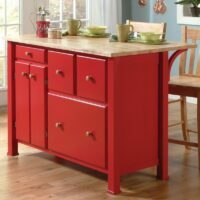 Perfect rolling kitchen island maximizes space and looks great. 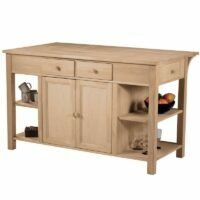 This rolling kitchen island maximizes space and looks great. 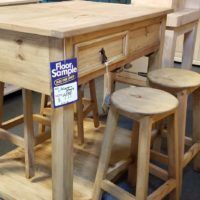 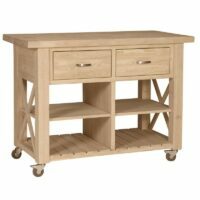 The Super Kitchen Island is great for preparing food or serving and entertaining. 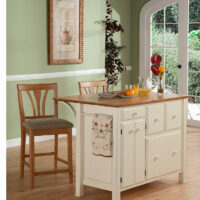 Add a pair of counter stools and you have a perfect spot for breakfast. 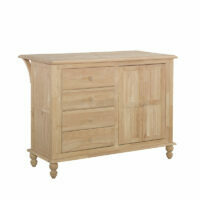 Pick unfinished, one of our favorites here, or contact us for over 40 options. 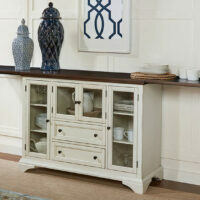 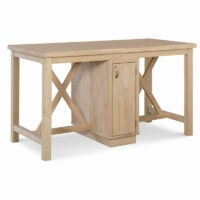 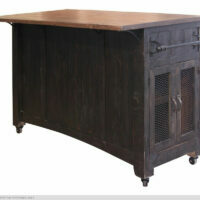 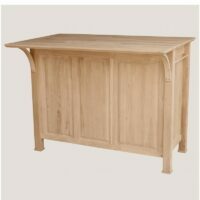 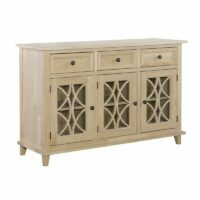 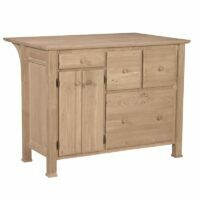 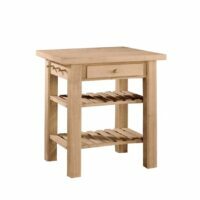 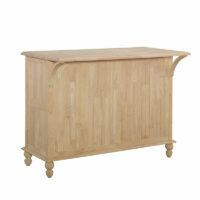 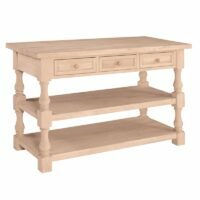 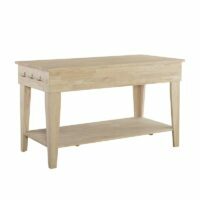 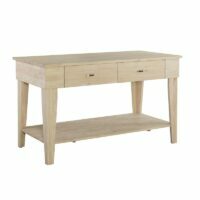 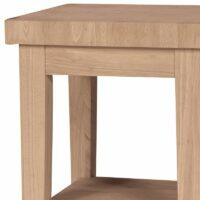 The Tuscan Kitchen Island has a traditional design and a big 60 inch wide table top. 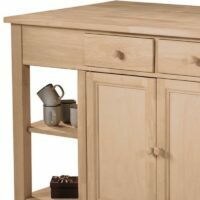 The Whitewood Kitchen Island provides prep and serving space for your busy kitchen. 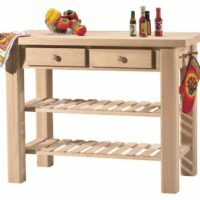 The X Side Kitchen Island with Butcher Block Top is perfect for busy kitchens. 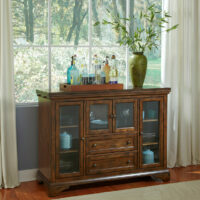 Great looking solid wood storage solution. 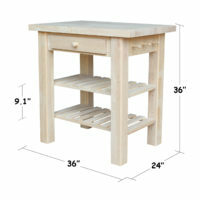 The butcher block counter top is a great surface for preparing and serving.